These'll make storing, organizing, and wearing your stuff a snap. * *hahahahhahaa. Being a wearer of clothes can be tough. Luckily, the internet is a thing that exists. And has opinions on everything you should put on or around your body. 1. Learn how to roll your sleeves the way they do at J. Crew. 2. And to fold a T-shirt like they do in department stores. Your friends will be all "lol is your faux-vintage Beatles tee for sale??" 3. Tie your scarf all swanky-like. 4. Or like one of your very favorite characters. 5. Translate the language of laundry. 6. Iron your button-downs like a pro. 7. Before pairing them with the perfect ties. 8. Fold your fancy lingerie the proper way. 9. And save precious drawer space with specially folded tees. 10. Get out any stain imaginable. 11. Put in cufflinks with the greatest of ease. 12. Learn to decode a dress code. 13. 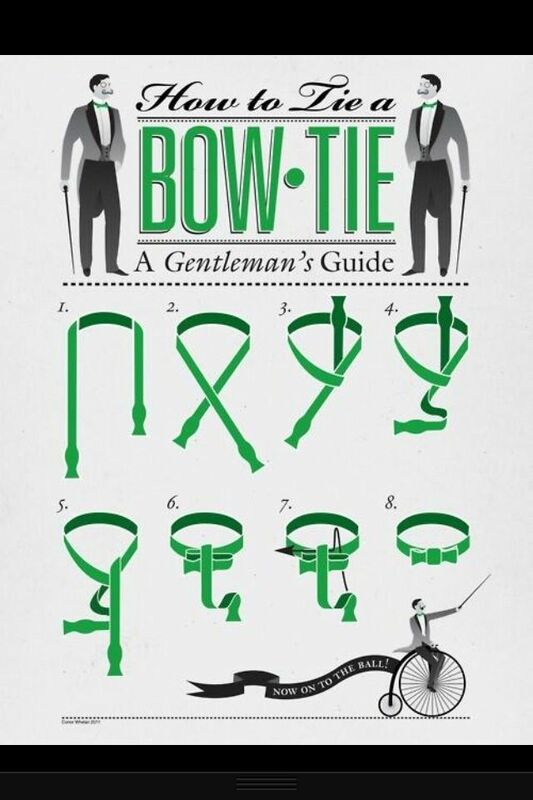 For formal events, tie your own bow tie. 14. 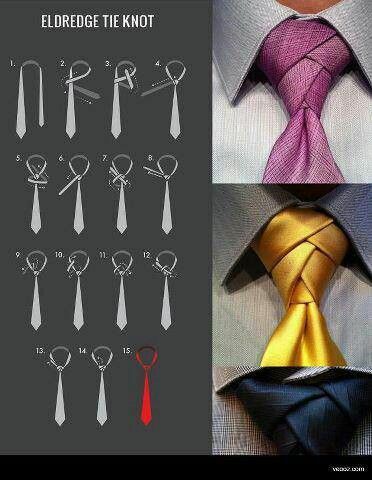 And if you really want to up the ante, try a super-fancy Eldredge tie knot. 15. Solve any bra problem the universe might throw your way. 16. Lace your shoes any number of ways. 17. Pick the right glasses no matter your face shape. 18. And remember: A simple headscarf can jazz up any outfit.